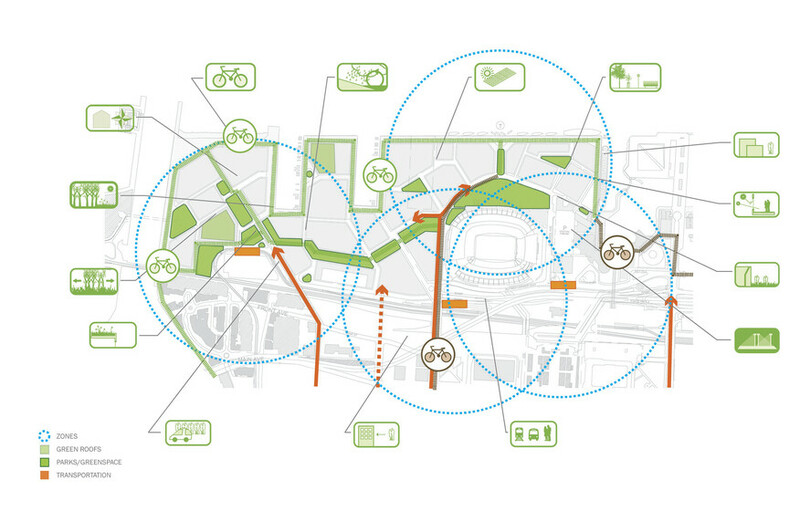 Atelier Ten shaped the vision for the Cleveland Waterfront’s sustainable strategy through recommending a unique diagonal street orientation. Blocks are angled to maximize daylight to the interior park system, while blocking the outdoor open space from cold winter wind. Atelier Ten worked with Ehrenkrantz Eckstut & Kuhn Architects and the Cleveland Port Authority to develop the sustainable vision masterplan for the proposed development. This redevelopment will transform over 100 acres of industrial waterfront property into a vibrant urbanized neighborhood with an interior park system, open public spaces, attractive event areas, cultural exhibitions, and retail spaces. 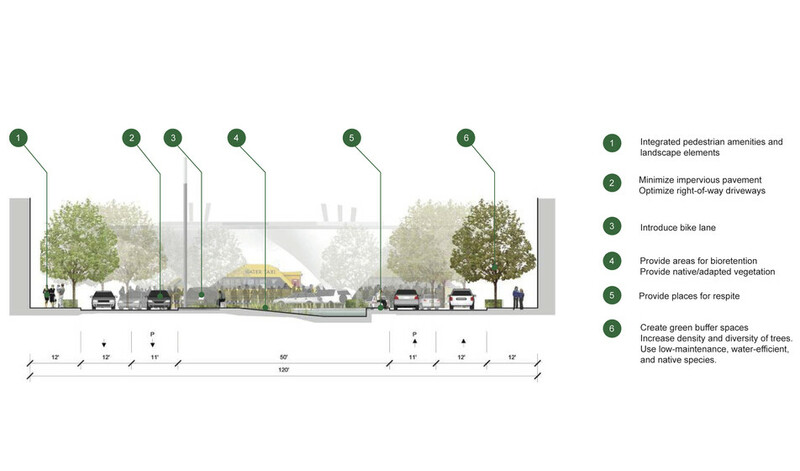 As part of the masterplan, Atelier Ten analyzed local climate data to determine opportunities for passive street orientation and helped identify appropriate opportunities to create a comfortable outdoor microclimate environment, especially during the long winter months. 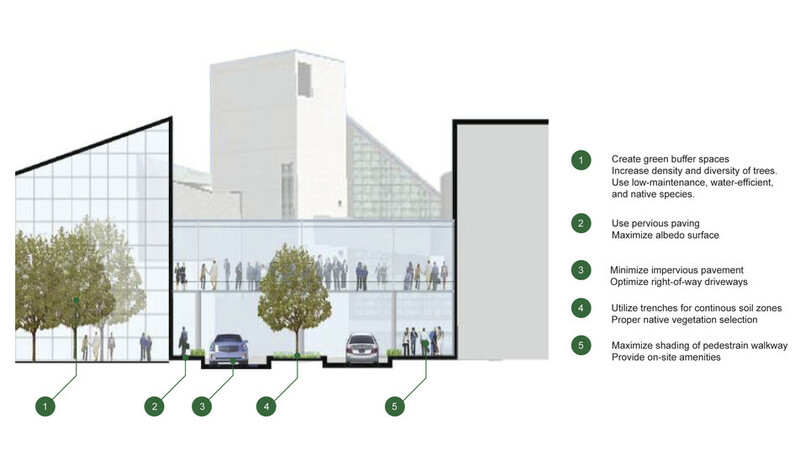 The resulting masterplan comprehensively addresses outdoor comfort, alternative transportation accessibility, and site-wide resource management, to reduce the development’s carbon emissions.